Thought Balloons - Creating Comics One Page At A Time: Brawl in the Family - Kirby Time - MK Stangeland Jr.
(Confession time: I didn't actually write a script at all this week. At least, not outside the script I wrote in my head - once I knew I was picking Brawl in the Family this week, I pretty much fully formed the script in my head and then just drew it straight out. I really like this comic, MK. 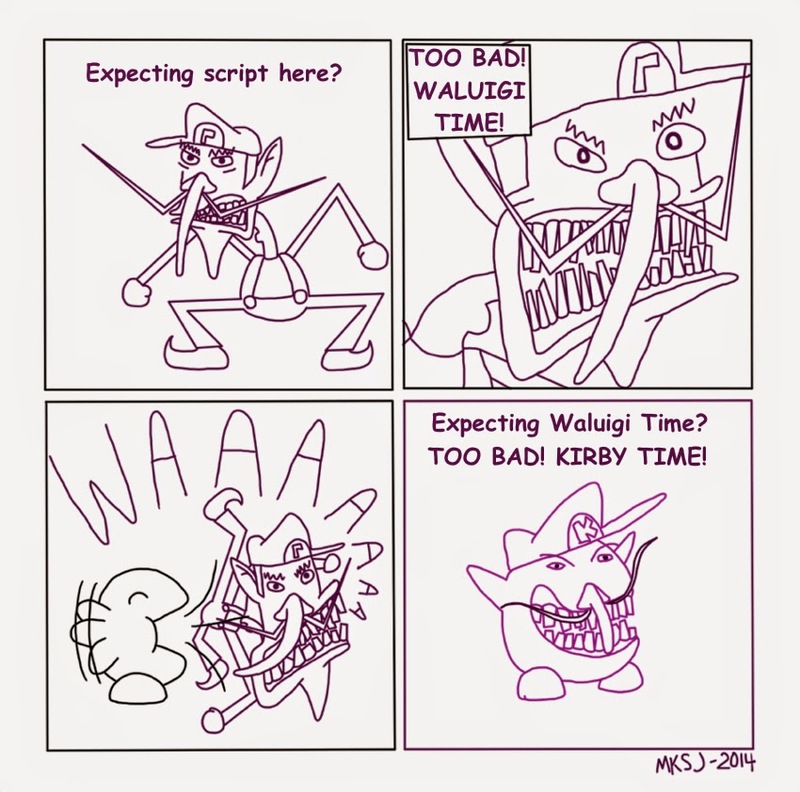 You do an excellent job of taking the Kirby and Waluigi tropes from Brawl in the Family and adding your own stylings to them, while staying true to the source material. Also: pretty darn funny joke, which never hurts.